WOW! Women On Writing Blog: Friday Speak Out: You've Finished your Book- What's Next? Friday Speak Out: You've Finished your Book- What's Next? First the good news! My first novel was published in August and what a wonderful experience that has been! There’s nothing compared to the pleasure of holding an actual copy of the book you’ve been working on for ages. Ever since I got the news my novel would be published I’ve been on a sharp learning curve. The writer’s world no longer resembles what one imagined- the writer sitting at the computer and churning out page after page of prose. That is the most pleasurable part of the long process. Then the next step is editing. Of course, every writer knows editing and rewriting are essential and the finished novel may bear little resemblance to what you started with. Finishing the novel, as monumental a task as that may be, is only the beginning. Always make sure another person has read your manuscript. You’ve looked at it so many times that you won’t see the mistakes and believe me, they can be glaring to a reader. My advice if you can afford it, is to have a professional editor go over the manuscript. It’s well worth it. Typos and mistakes turn off many readers. If you can’t manage hiring a professional editor and you’re on your own, at least spend some time reading your manuscript out loud. It really helps detect the inconsistencies and gives you some practice for the book readings you’ll be doing. After my novel came out, something new entered my life. Marketing. Even large publishing houses leave a big part of that up to the writer. Don’t forget the usual advice of using social media to promote your work. You need your webpage, Facebook writer’s page, blog, twitter, and anything else you can use to connect with potential readers. Don’t forget the copies you’ll need to give away. Hold contests on your page related to the contact of your book or just a simple contest like the 100th person who clicks like will get at free copy. That can help but what I found most helpful is the personal contacts I’ve made. The best marketing comes from your audience connecting with you. Try to organize readings in public venues that are connected to your work, independent bookstores, or even a private home. If you don’t have contacts in the literary world, find the local writer’s organization in your community or any writers groups you can share your work with. Get the local newspaper to publish an interview with you. Start locally! That is the best bet for your audience. The move from a local to larger audience often happens by word of mouth or recommendations! Regardless of how much work you put into your book, getting your work published is always well worth it! 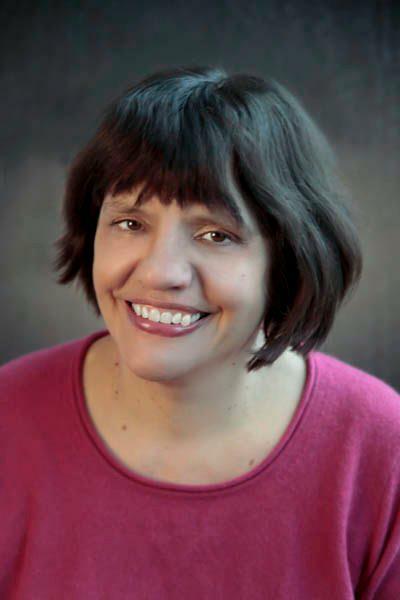 The poetry, fiction, and essays of Teresa Peipins have appeared in publications both in the United States and abroad including Anak Sastra, Barcelona Ink, The Barcelona Review, The Buffalo News, Conte, Creeping Bent, Hawai’ Pacific Review, The Kentucky Review, Melusine, and Pedestal, among many others. She is the author of three chapbooks of poetry. Her novel, The Shadow of Silver Birch, is published by Black Rose Writing.